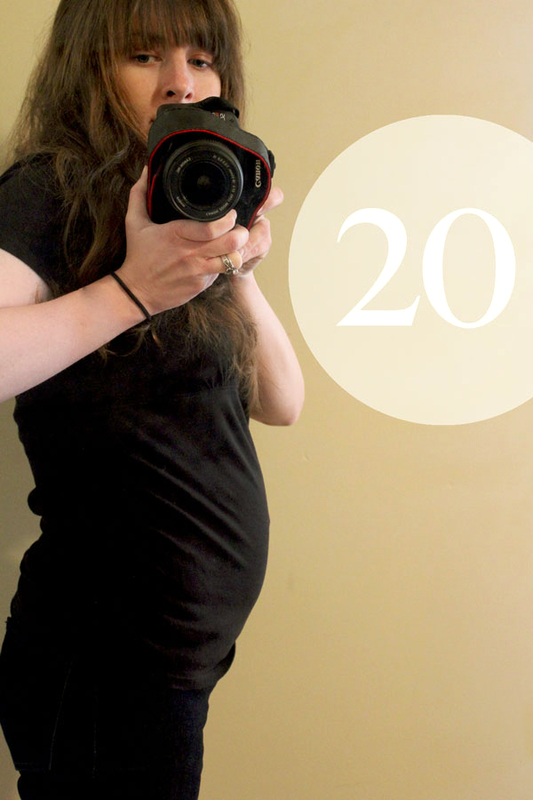 i know i took about a million belly photos with sam, so i thought it was about time to take one of the girl (if only so she won't feel like she missed the spotlight—so focus on the bump, and not the craziness that is my hair.) here we are, 20 weeks big and halfway there. woot.